It’s been one week since the launch of Google+ (pronounced “Google Plus”), Google’s latest answer to Facebook and Twitter. Everyone is wondering how Google+ will fare, especially given the lack of widespread adoption of its previous attempts at social, Google Wave and Google Buzz (see my post on this from last February). Here’s the net: Google+ is early but extremely promising. It’s impossible to deny the sheer magnitude of consumers’ data and data about consumers, which Google has. Picasa* photos, Blogger* posts, YouTube videos, docs, calendar items, searches, ad clicks, and geolocation are all a significant and compelling part of the consumer web footprint. Google+ is the first serious attempt to stitch all of this data together. It’s basically vertical integration for social media. Relationship tiering. Facebook has friend lists with different privacy settings assignable to different friend lists, but most users don’t know about or don’t utilize this feature. Core to the Google+ experience is the concept of “circles” (aka friend lists). Minimum public information. Facebook privacy settings allow users to elect complete privacy from search engine and Facebook search results, whereas Google+ reveals full name and gender. Relationship symmetry. Facebook friendship requires mutual approval. Google+ is like Twitter or Facebook Pages in that Person A can add Person B to a circle (aka follow or “like”) without Person B doing the same with Person A.
What’s notably missing from Google+ compared to Facebook are explicit demographic data and psychographic preferences, third-party apps, and ads. Surely this will change in due time. Business Pages are reportedly coming soon, but no actual date is confirmed. According to TechCrunch, Google says it’s not banning businesses from signing up, but has warned that they may have to create a new profile once Google+ for Businesses is ready. Even still, a handful of brands are already experimenting, including Ford (see below), Mashable, and ABC News. It’s definitely still early. 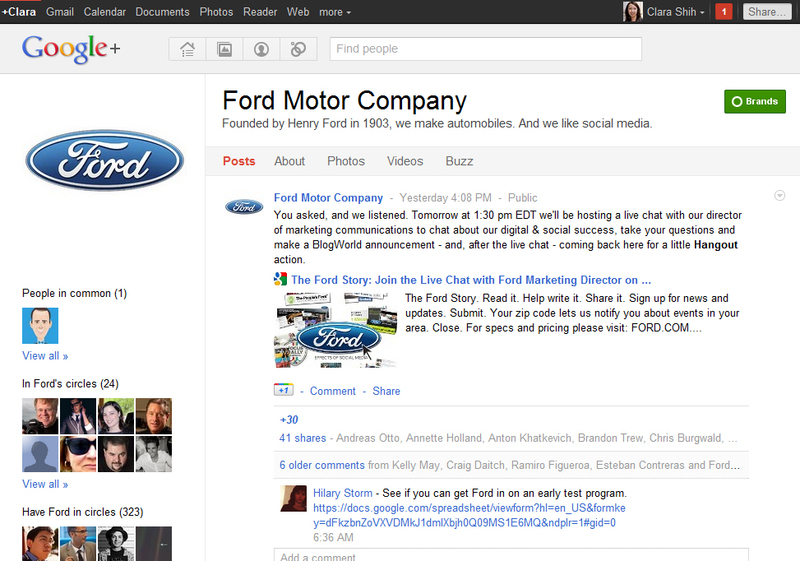 As of this morning, Ford has 323 “fans” on Google+ compared to more than 750,000 on Facebook. This will grow, of course, but only time will tell by how much. Google+ holds tremendous potential, but as with all social sites, the devil is in the details. How will features be exposed? What will the social dynamics become on the site? Ultimately, competition is good for consumers and good for business advertisers. 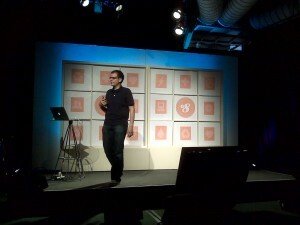 Google+ will keep Facebook and Twitter honest and innovative. 1. Give it a test drive. Try it on your personal or demo account, and ask your execs and social media team to do the same. Google+ is still in invite-only mode (we can get you an invitation if you need one) but there are plans to roll out to all Google account users by the end of the month. 2. Gauge your Google+ footprint. Check your Web analytics and see if you’re getting any referring traffic from Google+. Survey your customers to see what their adoption might be of Google apps and Gmail. 3. Consider holding off on creating an official business page. Google has already said it won’t be possible to migrate from the current personal profile setup to a Google+ business page. Create custom tabs and expose a partner API. Integrate with Google Places and show check-ins on the feed. Allow one-click email reply, doc collaboration, and calendar invite with anyone in the feed. Expose search and analytics across public posts. Provide vanity URLs so it’s easier for businesses to share the link and optimize for SEO. Don’t be evil. Don’t tweak PageRank to overweight Google+ profiles over Facebook and Twitter results. Adapted from first blog post at http://blog.hearsaysocial.com for my company Hearsay’s launch today from stealth mode. Just think about your insurance agent or financial advisor. Or your local coffee shop or fast food spot. Many are part of a corporate brand like State Farm or Starbucks, but what make them thrive are local customer relationships and experiences. How do we get a handle on the large numbers of social network profiles and pages being created by our local branches and reps? How do we bring local reps and agents into compliance with federal regulations and protect them from legal liability? For example, financial institutions are required to archive conversations, or risk heavy fines. Yet social media conversations go un-archived. The vast numbers of corporate/local companies share a unique set of challenges when it comes to social media. How do you balance the need for brand alignment and compliance with the tremendous opportunity for local customer engagement? We designed Hearsay Social specifically to help corporate/local companies create, manage, and measure social media efforts down to the zip code. Corporate management can, for example, distribute marketing campaigns and compelling content to the field, which local reps can then select, customize and one-click post to local audiences on Facebook, LinkedIn, and/or Twitter. We live in an exciting time. 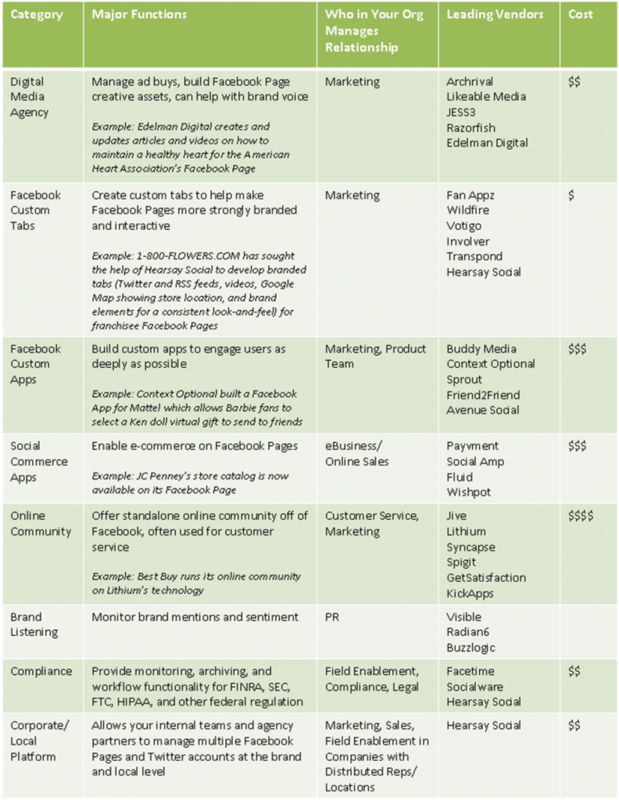 Social media is on fire, with four out of five businesses saying it is a top priority in 2011. Marquee brands including State Farm, Farmers Insurance Group, and 24 Hour Fitness have already been using Hearsay Social with tremendous early success (check out our case studies). Like the Internet 15 years ago, social media is disrupting how companies interact with and relate to their customers. We all know new customer paradigms require new enterprise tools. This is why we started Hearsay. I’m looking forward to seeing how far your business can go with social media in 2011! This post was updated on February 19, 2011. Corporate governance is a logical next area to pay attention to and invest in as social media matures. Regulatory bodies from the FTC and SEC to FINRA and FDA are starting to clamp down on employee activities on Facebook, LinkedIn and Twitter. This is why I co-founded Hearsay Social. Hearsay helps your company get compliant on LinkedIn, Facebook, Twitter, per the Securities Act of 1934, the Investment Acts of 1940, NASD 3010 & NASD 3110, and everything else the SEC and FINRA require. These regulations state what communications need to be archived and for how long, as well as what can and can’t be said in these messages, posts or exchanges. With Hearsay Social, everything that passes through these social media services is checked and archived, so banks and other financial institutions can unblock access to these sites with peace of mind. Here’s a video on how it works - I look forward to your thoughts! This post was updated on February 6, 2011. There are thousands of social media vendors out there, and new ones cropping up every day. Whom should you work with? It depends on the business objectives you are trying to address and how much you’d like to outsource. Costs can range anywhere from $1,000 for a one-off project to a recurring monthly fee for services or technology retained. If you either have high fan interaction volume or multiple social presences being managed in your organization, it’s almost guaranteed that you will need some sort of technology to help coordinate all the moving parts and make sure nothing slips through the cracks. This diagram below illustrates the landscape of top social media vendors which can help up your team’s social media velocity and productivity. Enterprise social networking requires a certain degree of openness to work and to succeed, but this introduces new risks around privacy and security, intellectual property, and misrepresentation by employees. An important first step in instituting proper corporate governance is to honestly assess where the key risks might be. At the end of the day, it is more important to be aware of and manage risk rather than try to avoid risk altogether because that is costly, frustrating, and impossible. The optimal level of risk is not zero; it’s just something we need to acknowledge, mitigate, and manage. Privacy and Security. The biggest security risks around enterprise social networking are generally not related to technology. They involve identity and privacy. There is a wealth of personal information about individuals available on social networking sites. To establish their identity and build rapport with their friend connections, people are for the most part very forthcoming with personal data such as date of birth, education, employment history, and the like. But especially without the right privacy settings in place, members of online social networking sites could become easy targets for identity theft. Seemingly harmless pieces of information such as your hometown or pet’s name are often the same kinds of security questions used by other sites, such as banking sites, to verify your identity. Intellectual Property and Confidentiality. The second big risk area for businesses around social networking is safeguarding intellectual property and confidentiality against competitive or malicious threats. Sites like Facebook and LinkedIn remove a lot of barriers for interacting with customers and others in the community at large for productive activities such as marketing, sales, product innovation, and recruiting but also expose your business to the risk of data being shared with the wrong people. Data Ownership. An important issue to keep in mind is ownership of data and content related to your brand generated on Twitter or Facebook Pages. At least in the Facebook terms of service, this is owned by Facebook. Facebook has always maintained open access to this data for brands and Page owners, but from a legal perspective it’s important to recognize this technicality. For this reason, it is recommended that any content or information that requires clear ownership and confidentiality that you do choose to publish to social networking sites appear via a platform application you commission for this purpose rather than through the out-of-the-box mechanisms provided by the site. Employee Productivity. One risk of encouraging Facebook is that your employees waste all their time on non-business related activities such as socializing with friends, uploading pictures, and playing Farmville or Mafia Wars. Businesses can mitigate this risk by restricting access to certain parts of Facebook from the company network or by developing and communicating clear social media guidelines for employees, as we will discuss below. Brand misrepresentation. Last, but not least, the openness of social media may increase the opportunities for your employees to speak out of turn and potentially misrepresent your brand to customers, partners, and the public at large, either purposefully or inadvertently. For the former, you could imagine, for example, a disgruntled former employee who was fired might attempt to retaliate by saying negative things about your company on public forums in Facebook. For the latter, a common example involves employees who carelessly or unknowingly post inappropriate public photos on their Facebook profile, which then reflects badly on your company. As we discuss in the next section, it’s very important to develop a social media policy and make sure employees and others receive the proper training before they are allowed to participate. Now that you have your Facebook Page, you need to get fans. I recommend inviting friends, employees, and trusted customers to “like” your Page before advertising or inviting customers you don’t know as well. Seeding your page with some initial activity and fans will make it more attractive to strangers than an empty page. You can invite them via email or the ‘Suggest to Friends’ link in Facebook that appears below your Page profile picture. Include a link to your Facebook Page in your email signature, website, and print mailings. Ask customers to “like” the Page. Be sure to tell people why they should “like” it (eg, Become a fan of my Facebook Page and get access to real estate news and the latest condo listings in Chicago), otherwise there is no incentive for them. You can also try advertising on Facebook to get more fans. 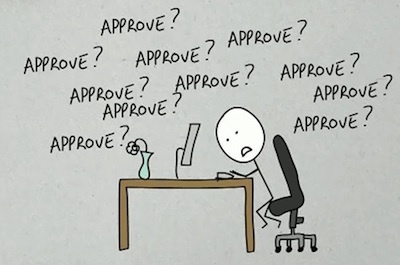 Again, make sure you clearly convey what they get out of “liking” your Page. There are neat tricks you can do, such as hypertargeting ads so that only people who are friends with your existing fans, group members, or application users see an ad. Keep in mind, however, that it isn’t just about how many fans you have—it’s about how engaged they are. It doesn’t add any value to your agenda if everyone “likes” your Page but hides all your updates because they aren’t relevant or interesting. I’d like to share another preview from The Facebook Era 2nd edition ahead of the release next month. Here is the foreword from Jim McCann. Jim is founder, Chairman, and CEO of 1-800-FLOWERS.COM, and a wonderful person, entrepreneur, and inspiration. Jim immediately came to mind when I was contemplating who to ask to write this foreword. Jim is an incredible entrepreneur who has artfully led 1-800-FLOWERS.COM through many eras of technology and marketing. More than anyone, Jim recognizes the value of embracing disruptive technologies to establish competitive advantage. This is evident in the name changes is company has undergone: Flora Plenty (1976), 1-800-FLOWERS (1986), 1-800-FLOWERS.COM (1995). Perhaps FACEBOOK.COM/1800FLOWERS is next! I am very grateful to Jim for sharing his thoughts in this foreword. I enjoyed it immensely and think you will, too. I’ve been a florist since 1976 when I opened my first retail flower shop in New York City. Today, 1-800-FLOWERS.COM is a $700 million-dollar company selling flowers, confections, and gifts in more than 40 countries. We were originally called “1-800-FLOWERS” because I made a bet in 1986, the year toll-free numbers first became widely available, that customers would appreciate calling in rather than having to come in person to place an order. People thought it was nuts then. But what retailer today wouldn’t have an 800-number? In 1991, we went online. At the time, a mere 4.5 million of Americans (fewer than 5%) were online and people still had to pay by the minute to surf the Web. I had a feeling, though, that this whole Internet thing would be big and I wanted to make sure we were part of it. We started with online advertising, first on CompuServe and later AOL. In 1995, when there were 25 million Internet users in America, we launched our first Web site and became 1-800-FLOWERS.COM. People thought it was nuts, again! But what retailer today wouldn’t pay for online advertising and a Web site? In fact, the majority of our business now comes from the Internet. So, what next? Well, let me tell you: You’d have to be nuts to ignore the 500 million active users on Facebook. But it’s more than just the numbers. Past technologies helped drive down costs, improve reach, and grow the business, but in the process we lost something very important: customer connection. I have missed the direct customer dialog I had in our retail flower shops. The digital age has felt largely transactional in comparison. This is why I feel even more excited about The Facebook Era than I did about toll-free numbers or the Internet. The social Web is about connecting with customers again, hearing their stories, sharing in their joys and sorrows and the most important moments of their lives. It’s about reopening the dialog so that businesses can put customers back in the driver’s seat and keep getting better. I met Clara in Madrid last year after we gave back-to-back keynotes at a major business and technology conference. Her message struck a chord with me. The social Web is not just new technology, it is a cultural movement. The Facebook Era is a powerful book about technology, culture, and business written by one of the leading innovators in the field. Clara speaks and writes with passion because her conviction is deeply rooted in actual experience. In 2007, when most business people thought Facebook was a passing college student fad, Clara conceived of and developed Faceconnector, the first business application on Facebook. This book articulates in clear and simple terms the opportunity for businesses on the social Web. Clara presents a wealth of case studies, research data, best practices, and actionable steps, and writes in a style that everyone from the CEO to your summer intern will find enjoyable, invaluable, and immediately useful. Whatever business you’re in—whether you’re selling flowers and gift baskets or cars and consulting—embrace the concepts and techniques in The Facebook Era. Use them to connect with your customers, and you will go far. Thank you for all of your contributions, support, and encouragement on The Facebook Era Second Edition. I submitted the final manuscript to my publisher a few weeks ago and it is slated for publication next month! Amazon is offering a 34% discount and free shipping if you pre-order. Over the course of the next few weeks leading up to the launch, I will be sharing snippets from the new book. Here is the Introduction, which explains what’s new and different in the second edition. I look forward to your thoughts! This book is all about you. Neither the first edition nor this one would have been possible without your questions, contributions, and passion for the subject matter. I thank the many tens of thousands of you from around the world who read the first edition and engage in dialogue on social media business topics every day with me and one other. Just like the pioneers of the Internet fifteen years ago, you are the ones defining, shaping, and leading the Facebook Era. At a time when the business outlook still feels uncertain, you have stepped up to the plate with bold optimism, inspiring ideas, and a willingness to experiment, learn from mistakes, and share. Though in most cases we have never met, it is your stories, ideas, and comments that have inspired this second edition as well as my new software company, Hearsay Labs. After the first edition, many of you wrote to me saying, “Thanks for telling us about the incredible possibilities on Facebook for my business. Now please tell us what tools are out there to help us!” Turns out, there weren’t very many I could recommend. So I left Salesforce.com, called up an old friend and programming partner from college (Steve Garrity), and together we founded Hearsay Labs to help companies grow their fans and grow their business on Facebook, Twitter, and across the Social Web. Special thanks to the most active contributors on our Facebook Page— Jamie Parks, Joseph Ray Diosana, Olena Koval, Danni Aiken, Shannon Ng, Nadine Gerber, Samir Pandit, Todd Chaffee, Ernesto Bruscia, and Rich Liao. As the rest of you begin thinking about how to apply concepts from the book to your business, I encourage you to check out their ideas and contribute your own. Less than a year has passed, but the world has changed dramatically since The Facebook Era was first published. 200 million Facebook users sounded like a lot then, but it’s fewer than half the number of people on Facebook today. Back then, we had some ideas for what might work for businesses on social networking sites, but many of the case studies were admittedly half-baked. Everything was nascent. This edition tells the rest of the story. By many measures, Facebook has “won.” Twitter has become relevant (at least buzz-worthy). LinkedIn has strong momentum. However, many of the other social networks in the last edition have all but disappeared or been forced to focus on narrow and specific niches, like music in the case of MySpace or virtual worlds in the case of Hi5. Today, the Social Web is filled with many more examples of innovative ways in which companies are successfully getting to know and support their customers, reach new audiences, and sell more stuff. We are finally beginning to understand and in some cases quantify the value of online social networks—whether for sales, marketing, customer service, innovation, collaboration, recruiting, or some other business function. Few companies have mastered the Social Web end to end, but many are doing one or a few aspects really well. This book uncovers best practices, tradeoffs, and pitfalls from leading companies across multiple segments and industries, and suggests how your business can take advantage. · Each content chapter now ends with a summary of takeaways and actionable to-do list. · There are over two dozen case studies and examples highlighted throughout the book to bring important concepts to life. · Instead of talking about Facebook only, this edition also provides extensive coverage of both Twitter and LinkedIn. · We have incorporated expert opinion sidebars from renowned social media authorities across the business, academic, and analyst communities, including Frank Eliason (Director of Customer Service at Comcast, better known as @ComcastCares), Mikolaj Piskorski (Professor at Harvard Business School), and Charlene Li (bestselling Author of Groundswell and Open Leadership, formerly at Forrester Research). · Five new chapters have been added, including Customer Service i (Chapter 5), Innovation and Collaboration (Chapter 7), Develop Your Facebook Era Plan and Metrics (Chapter 9), Advice for Small Business (Chapter 13), and Advice for Nonprofits, Healthcare, Education, and Political Campaigns (Chapter 14). It was the spring of 2007. Smoking indoors hadn’t yet been outlawed, though this place might not have cared either way. These two older men, clearly regulars, sat in the back corner, bare, lanky arms hanging out of their wifebeaters, cigarette dangling out one side of their mouth and a toothpick out the other. They were gesturing animatedly, laughing, eating, smoking, chattering away in loud Cantonese about this and that. I tuned them out to focus on my steaming bowl of wonton soup. Just then, out of the corner of my ear, I heard them just barely: “…blah blah blah Facebook.” I instantly sat up to listen. I had not been mistaken—these two men slurping their congee at an anonymous diner tucked away in a corner of Hong Kong where foreigners never go were talking about Facebook. Their children who were in college abroad got them into it, and now they were hooked. I was floored. It was the moment I realized that if Facebook was not already mainstream, that it would become so very, very soon. I flew back to San Francisco the following week and attended the first Facebook “f8” developer conference, where they unveiled a new Web platform that would allow third-party software vendors to build applications for Facebook users. The product demonstrations were mind-blowing—new Facebook applications such as iLike for sharing music with friends, Slide for sharing photos, and so on and so forth. Still, I felt like something was missing. Photos and SuperPoking are fun, but where were the business applications? At the time, I was working at Salesforce.com, which made its name developing customer relationship management (CRM) applications. But wasn’t relationship management at the core of what Facebook was offering, albeit in a more fun, casual, and modern way? That night, I went home and sketched out an idea for bringing Facebook to business. As a product marketer, I had been spending a lot of time on sales calls and saw that the most successful reps established immediate rapport with their prospects and had the strongest personal relationships with customers. Meanwhile in my personal life, I saw Facebook help establish faster and better rapport with people I had just met, and help me maintain closer relationships with my friends. Facebook, I realized, is CRM. So I decided to try something bold: Combine Facebook with Salesforce.com. With my friend Todd Perry’s help, I developed Faceconnector (originally named Faceforce), which pulls Facebook profile and friend information into Salesforce account, lead, and contact records. Instead of anonymous cold calling, sales reps and other business professionals could get to know the person behind the name and title, and even ask for warm introductions from mutual friends. Fortunately, Todd and I weren’t alone. Enterprise companies like SAP, Oracle, and Microsoft evolved their products to include Twitter, Facebook, and other traditionally “consumer” social media. New companies emerged, like Telligent, Lithium, and Jive, to build enterprise social technology from the ground up. The Social CRM movement had begun. Social media is a disruptive force for business. Every customer and employee suddenly has a voice, and what they say matters. Companies have no choice but to become transparent, responsive, and collaborative, or else risk going out of business. Everything is changing around customer expectations, customer participation, and how companies are organized. Brands are being elevated or jeopardized overnight by a single customer’s opinion that “goes viral.” Next-generation products are no longer being conceived in the lab or executive boardroom but by customers themselves. There is no question: We are living and working in the Facebook Era. As we saw with the Internet Era and PC Era before it, mastering the Facebook Era has become the new competitive advantage for businesses. Just like fifteen years ago when we had to learn how to Google and email, today we have to learn Facebook and other social technologies to be effective in our personal and professional lives. This book is meant to help you understand and successfully implement online social networking tactics and strategy for your company and career. · You know your business needs to get on Twitter and Facebook but don’t know where to begin or how to advance to the next stage. · You use Facebook, LinkedIn, and Twitter in your personal life but aren’t quite sure how it fits with your professional life. · You want to hear how real companies are succeeding at sourcing and converting leads, engaging audiences, and transforming customers into evangelists on social networking sites. · You understand that whether it’s looking for a job, closing a deal, or advancing your career, a lot of it comes down to who you know in your social networks. · Increasingly, you’re being asked to do more with less, and want to leverage the power of your networks, your colleagues’ networks, and your customers’ networks to get the job done better, faster, and cheaper. With over 500 million people spending an astonishing twenty billion minutes per day logged in, social networking sites like Facebook, Twitter, and LinkedIn are creating new norms around how we behave, share, and form relationships, and it’s having a profound impact on just about every aspect of our lives. As a business person, you need to be where your customers are, and increasingly, customers are spending time on social networking sites like Facebook and Twitter. How will people use Twitter or Facebook to learn about or become engaged with your company and products? What started out (at least in Facebook’s case) as a dorm room fad has blossomed into a cultural movement. More than a decade ago, the World Wide Web of information emerged, connecting us with news, content, and information. Today, a World Wide Web of people is emerging, creating an online social graph of who is connected to whom and how. Like the Internet era before it, no aspect of society is untouched by these new technologies. From Iran’s election to basketball player Shaquille O’Neil’s million-plus following on Twitter, the rules are being rewritten across business, politics, and philanthropy alike. With the lightning pace of technology, we are living in a very different world than just a few years ago. Today’s college students don’t use email except with “grownups” like professors and potential employers—they send text messages, Facebook Poke, and write on each other’s Walls. But it’s not just college students. The largest and fastest-growing segment of Facebook and Twitter users are those aged 35-49. More and more, we are relying on social networking sites as a primary means to communicate with friends and get the news. Newspapers, email, and traditional websites aren’t going away (well, some would argue that they are), but certainly there is a new player in town. Perhaps the Social Web was inevitable. Technology shouldn’t be—was never meant to be—an end in and of itself. It is only meaningful and valuable where and when it serves people. Esoteric technology was the result of an immaturity of our systems and thinking. The Social Web provides us with a new way, a way to bring our identities and relationships to the forefront of technology and to make technology people-centric. This book started out about business and technology, but is equally about a paradigm shift in our sociology, culture, and humanity. What exactly the future holds is anyone’s guess, but what we do know is that business will never again be the same—whatever your industry, wherever you work, whether you are in sales, marketing, product development, recruiting, or another corporate function. We were in a similar place of anticipation during the early days of the Internet. Then, as now, some companies jumped blindly on the bandwagon, investing a tremendous amount of time, energy, and capital to implement technologies they did not understand, with no clear strategy and, ultimately, little to show for it. Others dismissed the Internet as a fad and were gradually outcompeted by online businesses or companies that used the Web to achieve more efficient and effective sales, marketing, recruiting, product development, and operations. But the smart ones took notice and began preparing for what an Internet era might look like. They thought through the implications for their business, and they adapted and thrived. This book is here to help you be smart about online social networking so that this time around you, too, can adapt and thrive. If it’s true that we are separated at most by only six degrees, then you are not very far from any one of your customers or prospective customers. Read this book, and then go out and get them! Welcome to the Facebook Era! This manuscript is structured into four parts. Part I (Chapters 1 through 3) provides the bigger-picture framework and social implications from which we can develop a richer understanding and appreciation of social networking for business—what’s happening, how it’s changing our society and culture, and what we can learn and apply from past disruptive technologies. Part II (Chapters 4 through 8 ) takes a tour across four major functions in a company—sales, marketing, customer service, innovation, and recruiting—and explores how each is being affected by social networking technologies. Part III (Chapters 9 through 12) of the book is a practical how-to guide on Facebook profiles, Facebook Pages, Twitter accounts, and social network ads. Finally, Part IV (Chapter 13-16) is all about strategy and implementation. We’ll discuss specific ways for companies of all sizes as well as nonprofits and political campaigns can best use the Social Web to accomplish organizational objectives. Chapter 1, “The Fourth Revolution,” talks about the social networking phenomenon in the context of the three digital revolutions before it: mainframe computing, the PC, and the Internet. It draws examples from Bloomingdale’s department store and Starbucks to illustrate how past technology revolutions changed industry landscapes and what business decisions helped these companies establish a competitive advantage. The chapter concludes with a brief history of social networking sites and comparison of Facebook, Twitter, and LinkedIn. Chapter 2, “The New Social Norms,” explores the changing expectations, behaviors, and etiquette that are emerging around sharing information on social network profiles. The chapter discusses personal branding, generational differences, as well as the concept of “transitive trust” and its role in purchase decisions. Chapter 3, “How Relationships and Social Capital are Changing,” discusses the concept of social capital, how social capital is used to achieve business goals, and how online social networks enhance our ability to accumulate and exercise social capital to achieve our personal and professional goals. This chapter explores how online interactions facilitate entrepreneurial networks, the crossover between offline and online networking, organizational flattening, and value creation from network effects. Chapter 4, “Sales in the Facebook Era,” speaks to the power of the online social graph for a sales cycle, from prospecting and the first call through to customer references, navigating customer organizations, and enabling sales teams to more easily collaborate. It features a case study on how Silicon Valley start-up Aster Data Systems has used employees’ collective MySpace, Facebook, and LinkedIn networks to source leads and build personal relationships with customers. Chapter 5, “Customer Service in the Facebook Era,” discusses new opportunities around crowdsourcing question and issue resolution to the customer community, how to address negative feedback, and harnessing customer support forum pages for search-engine optimization. You will hear from customer service experts Natalie Petouhoff of Forrester Research and Frank Eliason of Comcast. 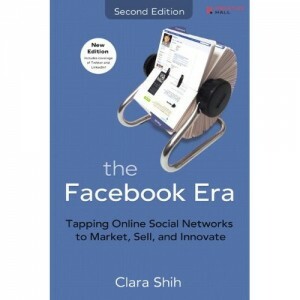 Chapter 6, “Marketing in the Facebook Era,” talks about the breakthrough new marketing techniques made possible by online social networks, including hypertargeting, enhanced ability to capture passive interest and conduct rapid testing and iteration on campaigns, social community engagement, and “automated” word-of-mouth marketing. It features multiple case studies, including national fast food restaurant Pizza Hut as well as start-up retailer Bonobos, demonstrating that businesses both large and small are achieving marketing success with Facebook’s new social advertising and engagement tools. Chapter 7, “Innovation and Collaboration in the Facebook Era,” describes how the four stages of innovation—generating concepts, prototyping, commercial implementation, and continual iteration—become more effective and efficient with social networking sites. This chapter features examples of how companies like Experian are tapping into the wisdom of their customer communities on social networking sites to source new ideas and keep getting better. You will hear from innovation experts Deb Schultz of Altimeter Group and Gentry Underwood from IDEO. Ezra Callahan and Leah Pearlman from Facebook also weigh in on how Facebook itself uses Facebook to innovate. Chapter 8, “Recruiting in the Facebook Era,” applies these concepts to the ever-important task of identifying, hiring, and retaining employees. It features a short case study on how Joe, a Chicago-based headhunter, uses Facebook and LinkedIn to source new candidates, keep in touch with candidates who might not be ready yet to leave their current roles, and maintain personal relationships with successful placements. The chapter concludes with a short set of suggestions for job seekers on how best to use online social networking to find and land the right role at the right company. Chapter 9, “How to: Develop Your Facebook Era Plan and Metrics,” walks through the tactical steps to defining and implementing a multi-stage social media strategy, including resource allocation and budgeting, organizing the team, and measurement. This chapter also introduces social customer lifetime value, a conceptual metric I developed to give companies a starting point for calculating the return on their social initiatives. Chapter 10, “How to: Build and Manage Relationships on the Social Web,” details how individuals set up a social networking account and provides tips for creating effective profiles, establishing friend connections, organizing contacts, and managing different identities across one’s personal and professional contacts. Chapter 11, “How to: Engage Your Customers with Twitter and Facebook Pages,” guides companies through the process of creating, managing, and facilitating successful customer communities on social networking sites. Featured examples include Ferrero, H&M, Coca Cola, Sears, Newbury Comics, Nestle, and others. Chapter 12, “How to: Set Up Ad Campaigns on Facebook and LinkedIn,” is a step-by-step set of instructions on how to tactically execute and optimize hypertargeted ad campaigns on Facebook and LinkedIn using many of the social marketing techniques described in Chapter 6. This chapter includes tips on how to optimize your Facebook ad campaigns from Tim Kendall, director of the ads team at Facebook. Chapter 13, “Advice for Small Business,” is geared toward small business owners and employees, sole proprietorships, and others who may not have someone assigned to looking after a social media strategy (or in many cases any form of marketing support), and how these types of businesses should be using Facebook and Twitter. Chapter 14, “Advice for Nonprofits, Healthcare, Education, and Political Campaigns” has specific case studies and advice for charitable organizations, political candidates, and others whose constituents may include volunteers, donors, voters, aid recipients, and others who don’t fit the traditional model of a for-profit customer. Chapter 15, “Corporate Governance, Strategy, and Implementation” speaks to the challenges, obstacles, and realities of implementing social networking technologies in a corporate setting. This chapter urges businesses to consider the risks around privacy, security, intellectual property, confidentiality, and brand misrepresentation, and the importance of partnering closely with legal and IT departments to put the right systems and policies in place to mitigate these risks. Chapter 16, “The Future of Social Business,” explores the general trends emerging from the Social Web: flatter organizations, greater collaboration across organizations, and a continued movement toward applications and experiences that are personalized, social, mobile, and real-time. Despite there being many unknowns and certainly more change, companies need to start thinking now about how social technologies will affect their business and take the necessary steps to adapt and thrive in the Facebook Era. Thank you being the inspiration behind this book. I can’t wait to hear your thoughts! 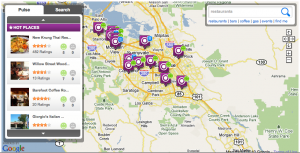 Businesses on Loopt and Foursquare: Are Mobile Geolocation Apps Ready for Prime Time? Facebook established the online social graph. Twitter established the real-time conversation graph. Who will dominate the location graph? A number of startups, led by Loopt, Foursquare, Gowalla, and newcomer Booyah! are hoping for a piece of the action. 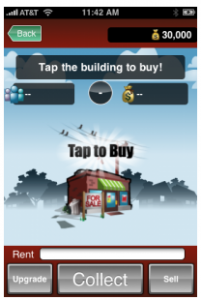 Facebook, Twitter, Yelp, and social games companies like Zynga and SGN are rapidly adding mobile and geolocation features. The recent success story has been Booyah! MyTown, which launched in December and has already eclipsed Foursquare and Gowalla’s combined user base. But for some context, even at 1M registered users, MyTown’s success pales in comparison to the 30M+ monthly active users of popular Facebook apps like Farmville and Mafia Wars (much less the 400M on Facebook). How did this all begin? Dodgeball was one of the “original” mobile location apps. It was SMS-only (there was no GPS then). A user, say Dan, could text “@slanted door with friends” to D-O-D-G-E and all of his friends would receive a text saying “Dan checked in at Slanted Door Restaurant, with friends.” Dodgeball was acquired by Google in 2005 and basically shut down. The team went on to found Foursquare in 2009. The next generation of geolocation apps basically consisted of location reporting and tracking between friends, pioneered by Loopt and later Google Latitude. 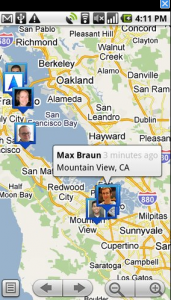 People could choose to share their real-time location with others and in turn subscribe to friends’ real-time location. 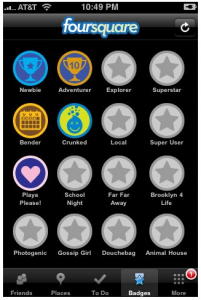 Foursquare has revived the original Dodgeball concepts of check-in and badges. For example, users receive a “bender” badge for bar-hopping four nights in a row or a “gym rat” badge for checking in to 10 “gym” locations within 30 days. Checking in at a certain location more times than anyone else earns you the title of “mayor,” and some businesses now offer free drinks or snacks to the Foursquare mayor of their location. Gowalla is similar to Foursquare but with fewer badges and more “items” to pick up and drop off in places (in other words, more gaming, less status). It is the second mover, but regarded by many as having a much better code base and product design. MyTown is GPS-enabled Monopoly with real physical places. 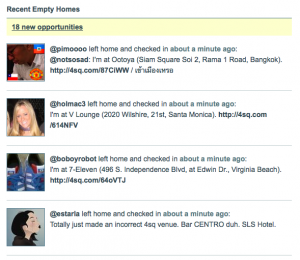 Users can buy places and collect rent from others who check in to those places. With its new Pulse application, Loopt has expanded beyond its original auto-location update functionality and now pushes active recommendations for places and events based on where you are and what your friends are doing. They have partnered with Zagat and Citysearch to provide restaurant recommendations and reviews. One of Loopt’s greatest strengths is compatibility across over 100 mobile devices. Last month, Yelp too introduced check-in and leaderboard features on their iPhone app, which already has over 1.25M users. 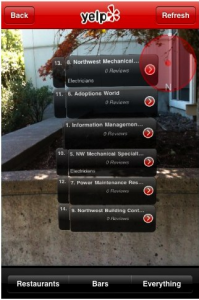 Yelp’s augmented reality app, the first released specifically for US iPhones, ignores the personal relationship building, social networking aspect of Foursqare and Loopt and instead connects users to the entire internet spectrum of opinion. A GPS and compass system pinpoints the iPhone’s location, so that pointing the phone at a store, business or restaurant displays icons of Yelp reviews overlaying the iPhone’s live camera view. As for the future, the battle continues for user share as swaths of people are buying smart phones for the first time. In parallel, many of these companies are building ad networks and partnerships. Both Loopt and Foursquare are exploring geotargeted coupons (for example, Loopt has partnered with Jack in the Box to serve up coupons when users are in the vicinity of a restaurant). The next frontier may be auto check-ins, to avoid the problem of user drop-off after several months, but privacy concerns will slow this trend. Facebook may be the next to enter the game as well. No doubt geolocation is hot, but here are a few hurdles ahead. 3. Security and privacy. Privacy controls were a big reason Facebook won out over other social networking sites, and even those took some getting used to. A secure and private model around sharing our real-time physical location is doubly hard to figure out. A new website, PleaseRobMe.com, has exposed the shocking vulnerabilities of people who publicly share their location and imply they are not at home (creating a target for burglars).